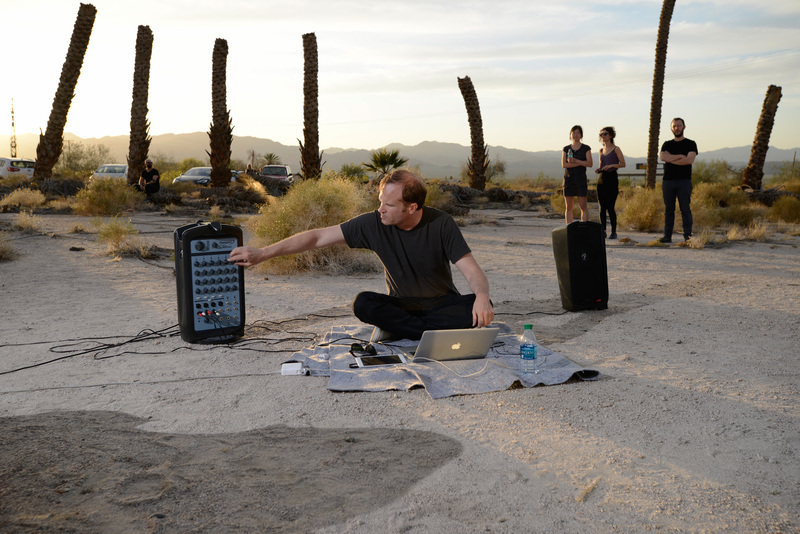 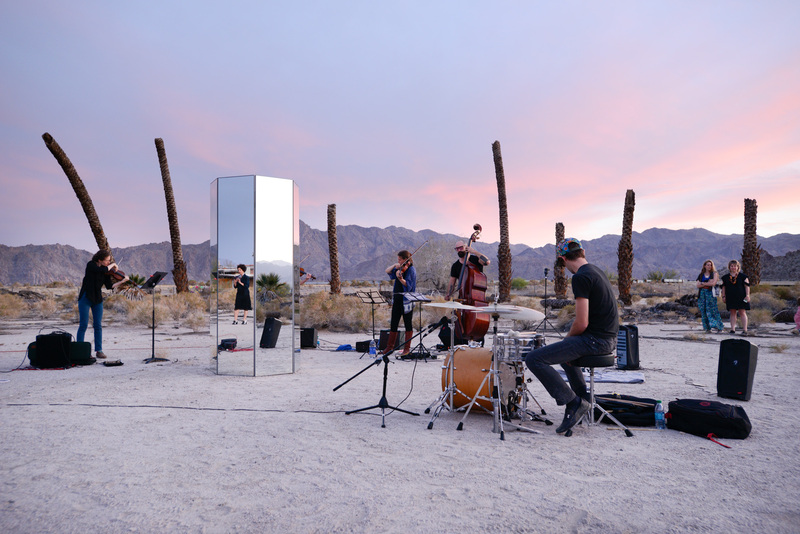 A performance of Desert Center (Composition I-10, Mvmt IV: Dusk), composed by Scott Benzel, will be presented as part of Zoe Crosher’s LA-LIKE: Expanded Shangri-LA’d exhibition at The Palm Springs Museum in Palm Desert, April-May 2015. 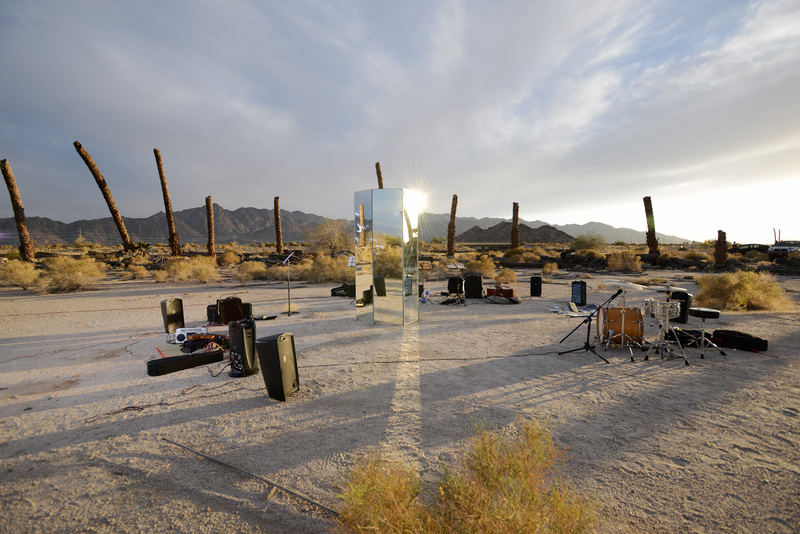 This exhibition is presented in conjunction with LA-LIKE: Shangri’LA’d, Crosher’s chapter of The Manifest Destiny Billboard Project in Palm Springs, organized by LAND (Los Angeles Nomadic Division). 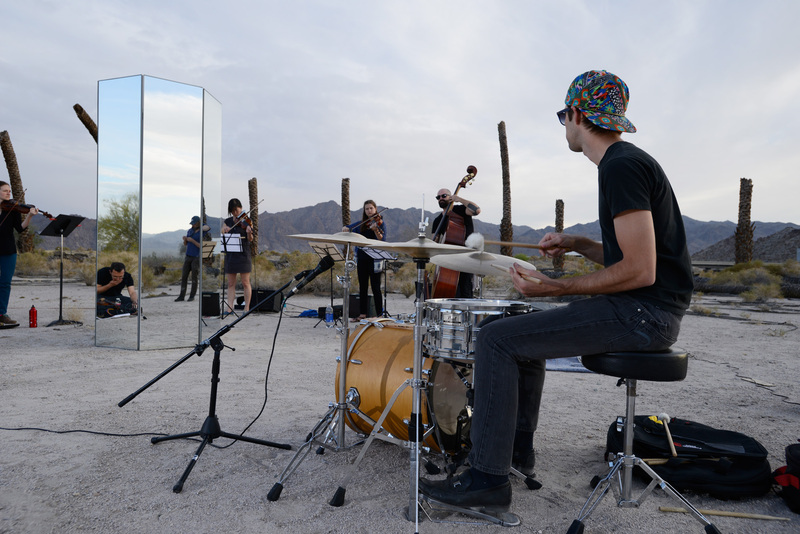 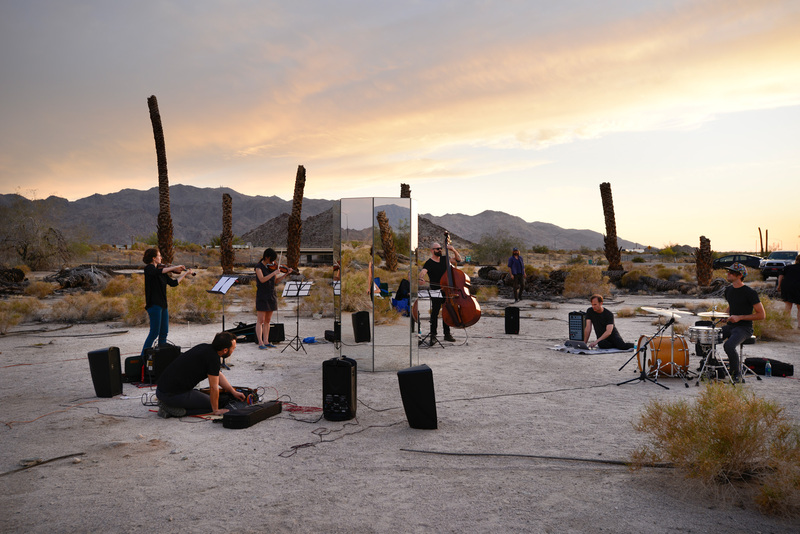 Desert Center is part of a twenty-four hour musical cycle whose notes and number of participants are dictated partially by the traffic patterns, sounds and harmonics of the I-10 freeway. 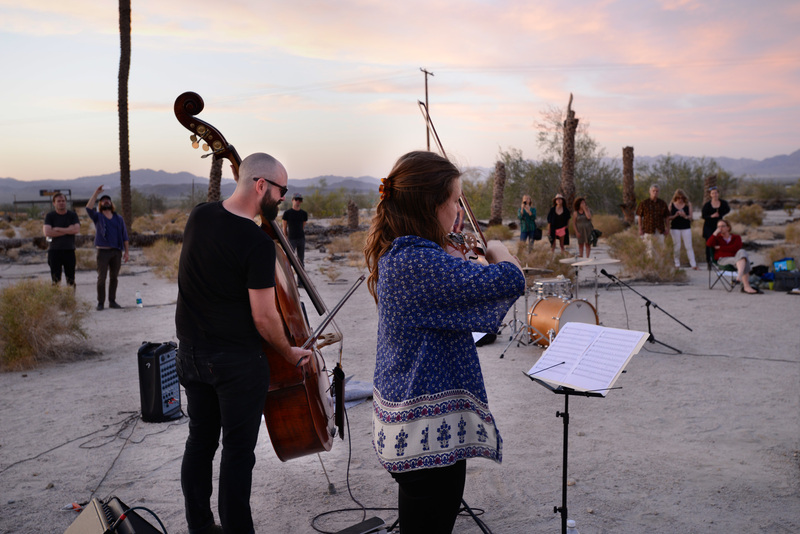 This piece will be performed at dusk on Saturday, April 4th inside an abandoned circle of palm trees in a small ghost town between Blythe and Palm Springs known as Desert Center. 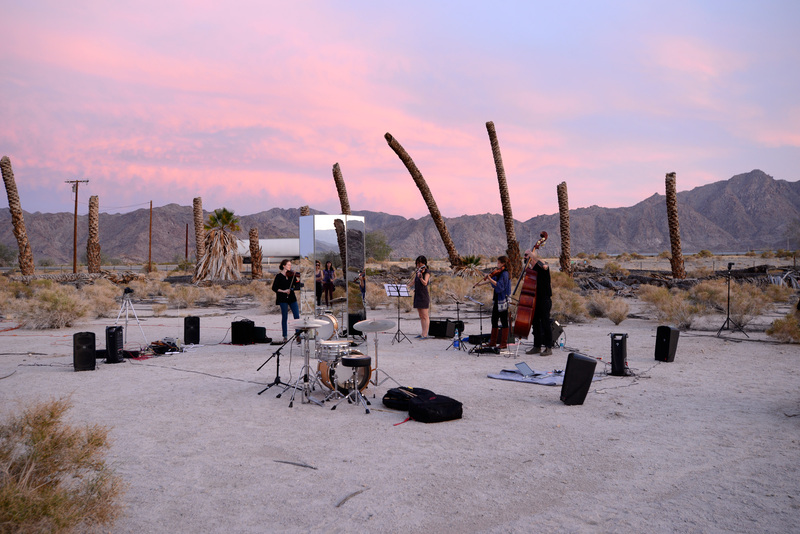 It will also performed Friday, April 3rd at the Palm Springs Museum at Palm Desert. 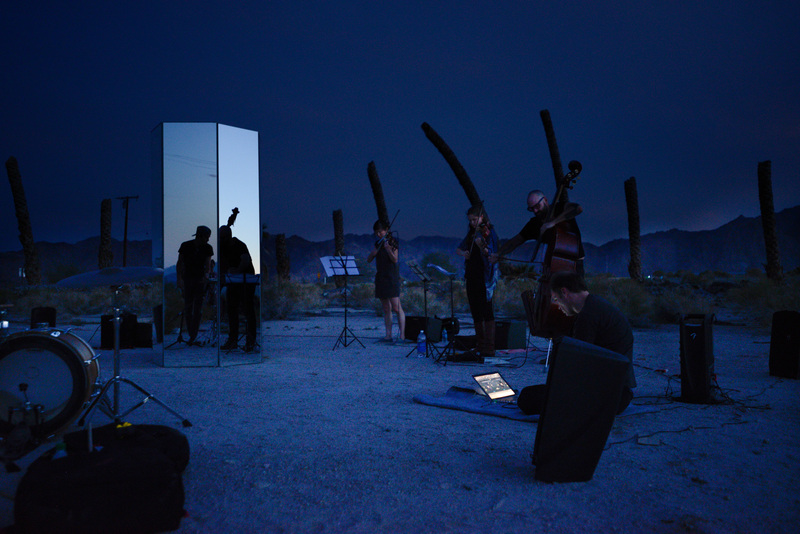 This composition is inspired by such legendary desert-based site-specific works as Iannis Xenakis’ Polytope de Persepolis performed at Persepolis, Iran in 1971 and Stockhausen’s Stimmung performed at Jeita, Lebanon in 1969. 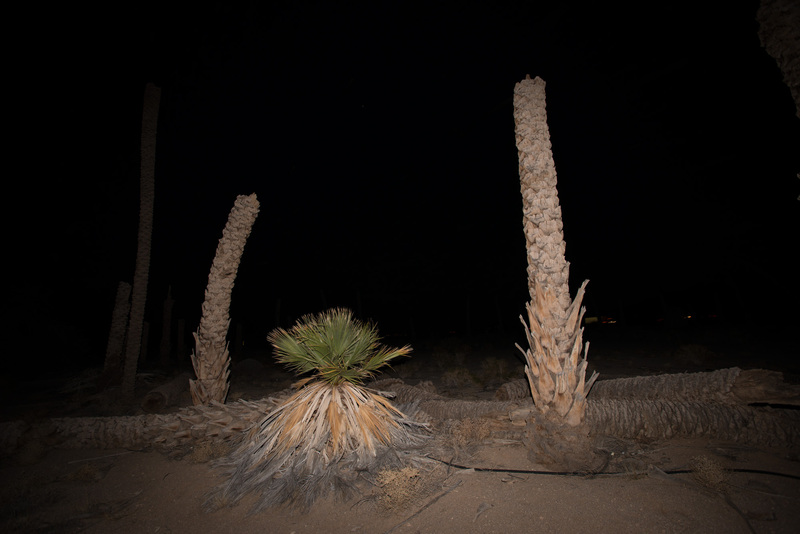 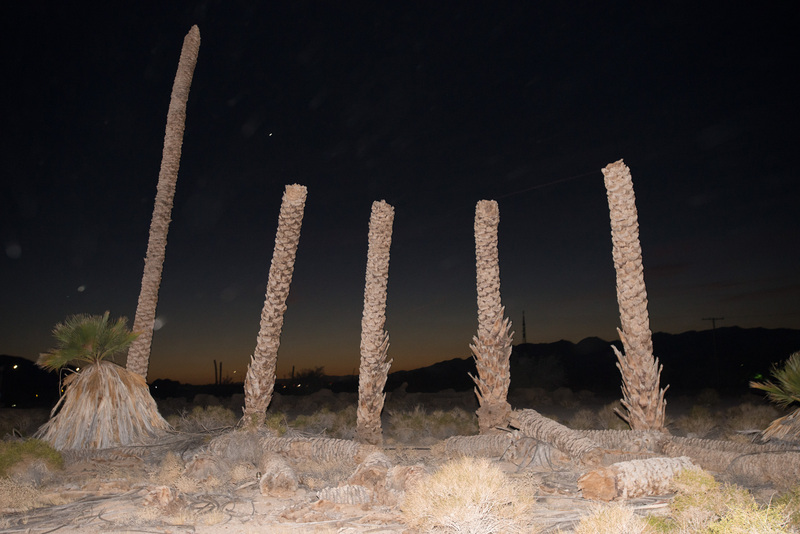 Here in Desert Center, a former roadside attraction, now a quasi-mystical site fallen into disrepair, the desert site embodies both entropy and a site of regeneration. 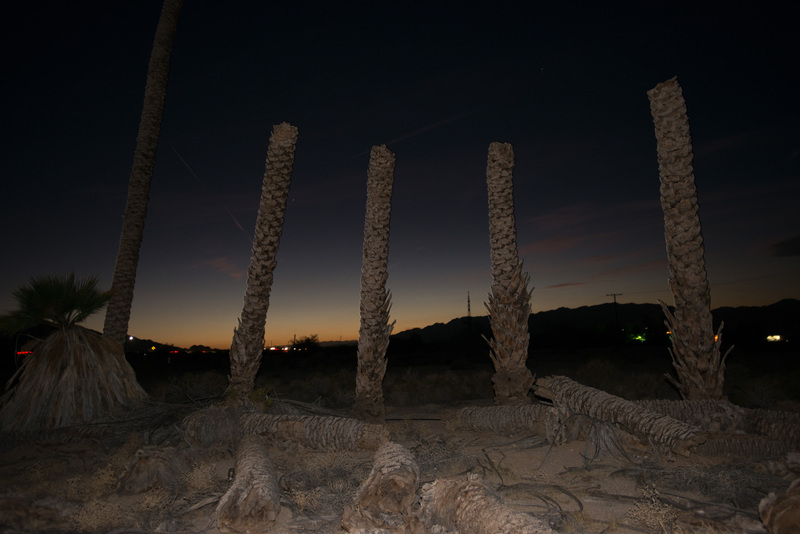 Like the ruins of the Temple of Darius in Persepolis, the palm trees stand as vertical sentries and reminders of a more glorious past; a decrepit California Stonehenge.